In the preliminary stage of stomach cancer, cancer cells form in the inner lining of stomach and eventually grow into a tumor. Usually this cancer grows at a gradual pace over several years. 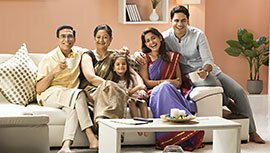 The post here gives information on stomach cancer early and final stage symptoms and symptoms in men & women individually. Men are twice more prone than women of getting affected by stomach cancer. Due to men being more exposed to alcohol and smoking, stomach cancer is a greater risk for men than women. Unfortunately it is a type of cancer which rarely shows its presence in early stages, which makes it even worse. Earlier symptoms shown by the disease are very common and can point to many diseases. Due to lack of blood a person can become anemic thereby, making him look pale. As the tumor grows, continuous internal bleeding causes the patient to become more tired than usual. Stomach swells up than its usual size, causing it to bleed, which makes bowel appear black. Fresh or coffee colored blood in vomiting. People with stomach cancer are more likely to have blood clots. These clots can cause intense pain in chest or legs, one can also complain of breathlessness. 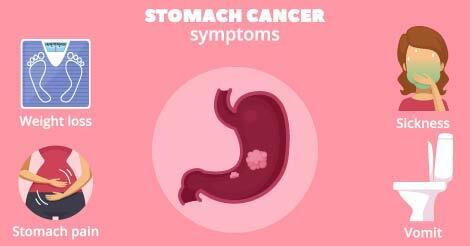 Unfortunately, stomach cancer rarely shows the early signs and symptoms of this deadly disease. The initial symptoms of this disease are vague and simple to mistake for other common conditions. Hence, it is necessary to have routine comprehensive health checkup by providers like Indus Health Plus. Such checkups have proven to be beneficial in detecting and diagnosing such life-threatening diseases at early stages. To get in touch with the team member of Indus Health Plus, fill the form.